Background/Purpose: IgG4-related disease (IgG4-RD) is an immune-mediated condition causing fibro-inflammatory lesions that can lead to irreversible organ damage and death. No approved therapies exist. A novel monoclonal antibody, XmAb5871, is a humanized anti-CD19 antibody with an Fc engineered for increased affinity to FcγRIIb. Co-ligation of CD19 and FcγRIIb leads to inhibition of B lineage cells. Because of the importance of B cells and plasmablasts (PB) in IgG4-RD pathogenesis, an open label pilot of XmAb5871 in IgG4-RD was performed. Methods: IgG4-RD patients with active disease defined by an IgG4-RD Responder Index (RI) of ≥ 3 were administered XmAb5871 (5 mg/kg) IV every 14 days for 12 doses. The primary outcome measure was the proportion of patients on Day 169 with a decrease in the IgG4-RD RI of ≥2 points compared to baseline. Secondary endpoints included the proportion of patients achieving an IgG4-RD RI of 0 with no corticosteroids (CS) after month 2. Other immunosuppressive medications were not allowed. Mechanistic studies were performed at baseline and at selected intervals. Results: 15 patients enrolled between March 2016 and January 2017. The median age of the 15 patients was 63 years (43 to 77 years). Two-thirds were male. 12 of 15 patients had elevated baseline serum IgG4 concentrations (median IgG4: 220 mg/dL; 25 – 2415). 10 had undergone treatment with other therapy before entry. The median baseline IgG4-RD RI was 12 (2 – 30), with active inflammatory disease in a median of 5 organ systems (1-10). The organs most commonly affected were lymph nodes (73% of patients), submandibular glands (60%), parotid glands (53%), and lacrimal glands (47%). 5 patients (33%) had kidney involvement, 4 (27%) had lung findings and 3 each (20%) had orbital lesions, nasal cavity involvement or heart/pericardium findings. 12 patients (80%) completed the study and all 12 achieved the primary endpoint of at least a 2-point reduction in the IgG4-RD RI on Day 169. None of the 12 required CS after month 2. 8 patients (53%) achieved remission (IgG4-RD RI of 0 and no CS after 2 months) and the other 4 achieved IgG4-RD RI scores of ≤4 at Day 169. 14 of 15 patients (93%) achieved a decrease of ≥ 2 in the IgG4-RD RI, most within 2 weeks. One patient had been on baseline CS for 2 years (15 mg/day) and was able to discontinue CS within 2 months. 4 others received CS at the start of the trial and tapered off within 2 months. 3 patients had minor, transient GI side-effects during the 1st infusion; all completed the study. Two SAEs of pneumonia and recurrence of pneumonia due to lack of compliance were seen in 1 patient (who completed). 3 patients discontinued early. One was an atypical patient with laryngeal involvement only who did not respond to XmAb5871 or to subsequent rituximab. A 2nd responded well, but flared at 12 weeks and did not respond to subsequent rituximab therapy. The 3rd responded well but developed infusion-related symptoms including transient rash and arthralgias following the 5th infusion. She concurrently developed anti-drug antibodies. Mean B cell counts decreased to ~40-55% of baseline and circulating PBs decreased by ~70% following XmAb5871. Conclusion: XmAb5871 is tolerated well in patients with active IgG4-RD and is a promising treatment approach for IgG4-RD. Disclosure: J. H. Stone, Xencor, 2; Z. S. Wallace, None; C. A. Perugino, None; A. D. Fernandes, None; P. Patel, None; P. A. Foster, Xencor Inc, 1,Xencor Inc, 3; D. J. Zack, Xencor Inc, 1,Xencor Inc, 3. Stone JH, Wallace ZS, Perugino CA, Fernandes AD, Patel P, Foster PA, Zack DJ. Final Results of an Open Label Phase 2 Study of a Reversible B Cell Inhibitor, Xmab®5871, in IgG4-Related Disease [abstract]. Arthritis Rheumatol. 2017; 69 (suppl 10). 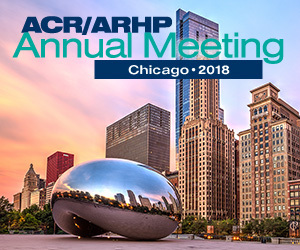 https://acrabstracts.org/abstract/final-results-of-an-open-label-phase-2-study-of-a-reversible-b-cell-inhibitor-xmab5871-in-igg4-related-disease/. Accessed April 18, 2019.